This is less of a comic, and more of me being a horrible person. I really want to make a nice print version of this spread with colour and attention to perspective and what have you. I have just noticed the fig. 1 / fig. 2 mixup, and will fix it once fixing it will not intrude upon my sleep. 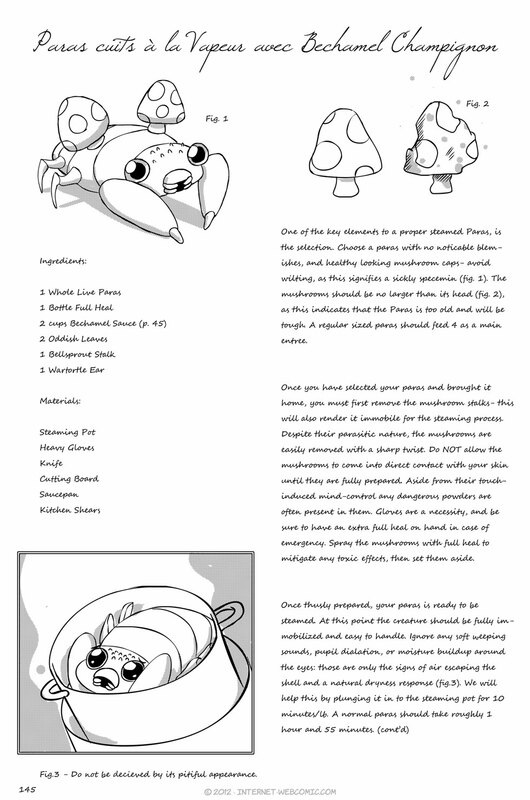 If there are too many words, here’s a tl;dr: Did you ever notice that Paras is a delicious delicious lobster/mushroom? Remember kids- always humanely kill your lobster before steaming it. So… When serving a Paras, does it go best with red wine, or white wine? Sadly enough, it’s not much worse of a fate than evolving into a parasect and becoming a mindless shroom zombie.